The cell-shifting problem is to construct two polyforms that can be tiled by specified polyforms and that differ in the position of just one cell. 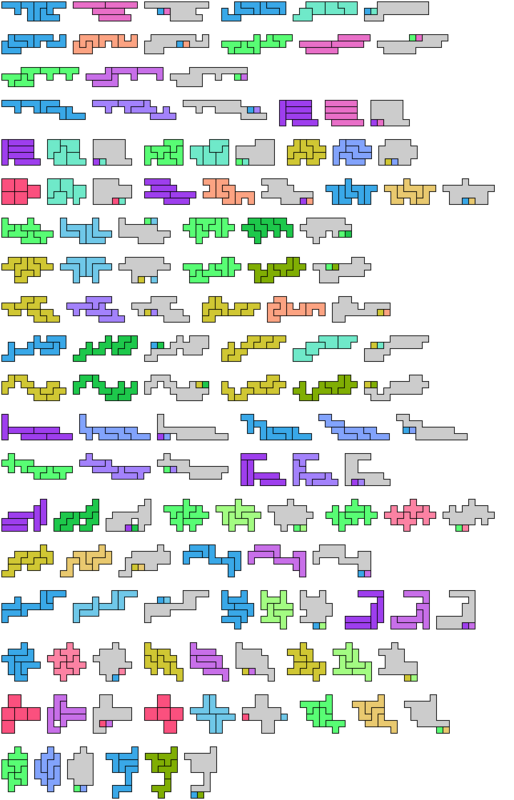 Here are minimal known cell shifts for tetromino-pentomino pairs. If you find a shorter shift or a smaller solution, or solve an unsolved case, please write.